I have had this movie sitting in my in basket waiting for a review since fall. Shame on me. Anyway, today was the day... we watched it for our movie night. Allen was raised Methodist and I was raised Catholic. They have some nice church buildings. You know stained glass, frescos, chandeliers and all that. Then we became Baptists. I don't know if it is true for all Baptist denominations, there are a lot of them by the way and not all Baptists are created equal, but for Independent Baptist churches they will make a church building out of just about anything. Allen is known to say, "Baptists will put a pointy (steeple) on anything and call it a church." As a matter of fact our very own church building is nothing more than a house with an auditorium added to it and a steeple on top. Many years ago we knew a man who lived in the same exact model rancher. In our travels we've visited churches that used to be just about anything and everything you can imagine. One time we even went to a church that was in an insurance office. Which worked out kind of well for them since the agents only needed the building Monday through Friday and the church only needed the building on Sunday morning. For the record we were in Savannah, Georgia and it turns out we were the only white people there as well. Which wouldn't have been any big deal at all except we had the times wrong and came in late. And it turns out the door was located in the middle of the rows of chairs they had set up for service. Add to that our five kids and we were quite a spectacle coming in. In the end it was a great service and we had some great fellowship. Periodically someone says, "Hey, do you remember that black church we went to in Georgia?" But I digress. Even though they didn't appear to be Baptists, the church in this movie had a lot of good points I could relate to. For one thing, the building does not a church make. God builds His church on those who know and love Him and want to give their lives to His service. I've been in many majestic buildings that could hardly call themselves a church. Likewise, I've visited many a church that barely had a building to call home but were greater than the strongest army in the world. So when the church of Paradise, Texas burns to the ground and the church decides to remodel an old barn for their new building, I could really relate. Of course, it wasn't all that easy. Hearts were changed and relationships were strengthened along the way. Oh, and much like Baptists, there was also a potluck and some good old hymns. “WELCOME TO PARADISE proves the old saying, ‘God plus one equals a majority,’” said Brent Huff, the film’s director and co-writer. “Stars Crystal Bernard and Brian Dennehy bring to life a funny and uplifting story woven throughout with small town characters you’ll grow to care about.” Crystal Bernard (Wings), Brad Stine (CHRISTMAS WITH A CAPITAL C), and Brian Dennehy (THE ULTIMATE GIFT, COCOON), star in this wholesome, light-hearted feature that reminds us how love and acceptance go a long way in showing our faith. 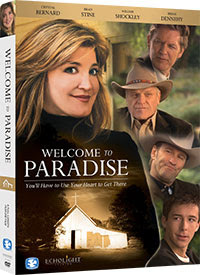 Debbie Laramie uproots her home in Dallas when she’s transferred to a small church in the sleepy town of Paradise, Texas. Once there, Debbie and her teenage son brave a bumpy road as they adjust to a community in need of a guide back to God. The plucky pastor’s unique approach to church life polarizes the members even more—until a catastrophic chain of events leaves them without a building at all. An old barn is their only chance to keep the church alive. With the help of her supporters—and even a few naysayers—Debbie turns a humbling challenge into an opportunity to breathe new life into the community and inspires her new church to trust in her and God’s plan. From Out of Pocket Films, WELCOME TO PARADISE is distributed by EchoLight Studios. It also features Bobby Edner (SPY KIDS 3D: GAME OVER) and William Shockley (Dr. Quinn, Medicine Woman). I saw this one awhile back and thought it was really cute. At first I was a little put off by a woman pastor, but all in all the storyline was sweet and very family friendly. It is so funny you should say that because the first thing that caught our attention was our distaste at the woman pastor. 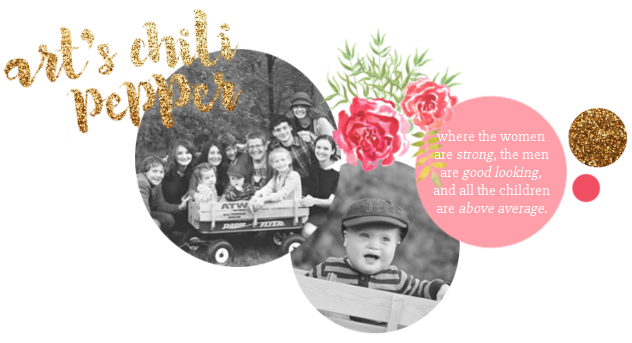 I think when viewing anything with a Christian theme we have to accept that not everything is going to line up with our belief system and decide what level of acceptable is okay for our families. Sometimes, I get so caught up in what I disagree with that it is hard for me to enjoy a video or book. I am working on trying to see the good parts and trust that if the message of Jesus is getting across maybe the rest isn't so important in our viewing as long as we base our standards for life on what the Lord has to say and are willing to stand tall on them. We have a very dear friend who is active in a church with a woman pastor. Although, I do not believe that model is true to the word of God, it is more important to us to maintain an open relationship with her where we can continue to share the truth rather than to push our convictions on what a pastor and what a church should be. We are grateful that she will worship with us and sit under good preaching when she comes to visit and thus we make a point of worshiping with her when we go to visit in her hometown. I should also say when we view or read or even hear preaching that we feel are not in line with the Word, we use it as a time to open the scriptures with our children and show them what God has to say on the matter. If they never have to view different ideas and compare them to the word of God our children will never learn how to discern truth for themselves. I believe that is one of the reasons Christians are loosing the entire next generation to the world. Because we, as a group, have sheltered and isolated them and not allowed them to be tempered into the world. We've not taught them how to separate worldly philosophy from God's teaching and we've not given them the power to choose right teaching from wrong ideas. So excited to hear news of the Princesses engagement. You must be floating a mile high!